Tumbling is a great activity for children to do to supplement their athletic training, whether they are a soccer player, horseback rider, swimmer, or ballet dancer. 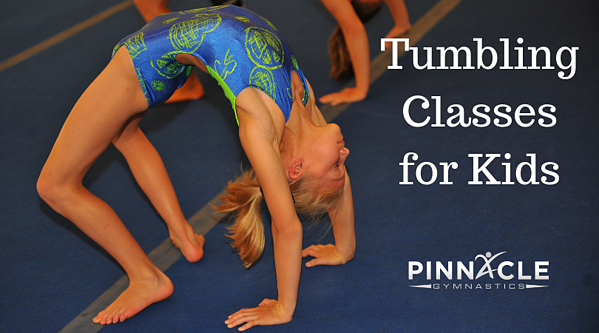 Tumbling teaches body awareness, strength, flexibility, perseverance, power, elegance, and is really cool. When was the last time you saw someone do a good back handspring that wasn’t in a leotard? Tumbling classes are offered at very convenient times throughout the week. Classes are frequently held on weeknights after school as well as on weekends, especially Saturday mornings. Classes are typically divided by age and ability. Common age groupings are ages 5-8 and ages 9+. Classes provide students with the tools necessary to learn skills in a safe environment, building the desire to learn skills correctly versus just quickly, and integrating life lessons that carry far beyond sport into their lesson plans. Beginner tumblers will be introduced in a methodical way to skills that we all know, love, and want to be able to do. Intermediate level athletes will be working on perfecting and connecting skills. Advanced level athletes will be polishing up passes, spending more time on power and momentum, and learn in the air twisting skills. How Long are Tumbling Classes? Most tumbling classes are 50 minutes in length and start with a warm up, then at least 2 different areas for learning. Equipment utilized should include the trampoline, tumble track, floor exercise, and training mats with alternating activities to keep athletes progressing. What Are Tumbling Classes Like? 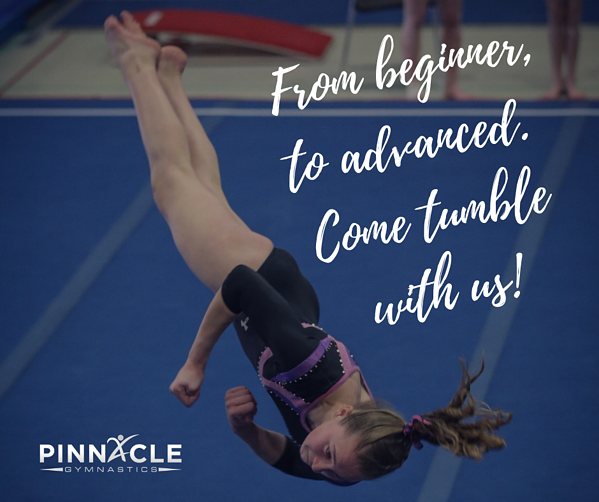 Tumbling classes work on tumbling skills, and more importantly, drills for those skills. In addition to breaking skills down into parts for progressive learning, strength and flexibility stations increase an athlete's total fitness and lead to more success as a tumbler. This strong foundation leads to the ability to learn new skills at an appropriate pace. Scheduling an evaluation at your local club is the perfect place to start!